For a line-up boasting the likes of Alexis Sanchez, Paul Pogba, Anthony Martial, Jesse Lingard and Romelu Lukaku, Manchester United looked far from the team they appeared to be on paper, as they were ripped to shreds by Tottenham Hotspur last night. Christian Eriksen scored the fastest goal ever scored against a United side in the Premier League, finding the back of the net just 11 seconds after the game kicked off. However, it was more a case of ridiculously calamitous defending from Jose Mourinho’s men, who had studied the exact tactic employed by Harry Kane and co. for the opener prior to the game. This failure to follow the instructions practiced and worked on during training sessions ultimately cost them the three points, but one person in particular saw the wrath of Mourinho for his failure to follow the manager’s orders. That player was none other than record signing Paul Pogba, who was woefully ineffective for the entirety of his time on the pitch. The Frenchman has had a brilliant season so far, but looked completely out of sorts during the game, which led to a touchline scolding from Mourinho. The Portuguese looked as frustrated as ever with the midfielder, and was an animated figure in his argument with the 23-year-old. Despite the orders being barked out to him, Pogba still didn’t show any signs of improvement, and was hauled off by his manager as a result. 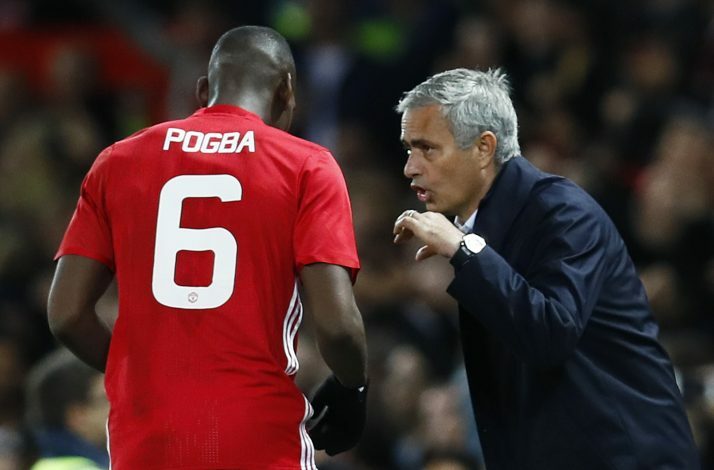 It caused a mass uproar on twitter, and while Mourinho later claimed it was to utilize the different qualities of different players (he brought on Fellaini and subbed him off just seven minutes later), United fans weren’t convinced, and believed they knew the real reason behind Pogba’s substitution – a continued defiance of Mourinho’s orders. Frank Lampard had his own input as to why Mourinho decided to take him off just after the hour mark. Speaking as a pundit for BT Sport, the Chelsea legend said: “Pogba’s got so many great forward-thinking attributes – athleticism, ability on the ball, can find a pass. But if he’s being asked to do that job today next to Matic, he has to do that with complete responsibility. Maurinho should understand that Pogba isn’t a central midfielder,there’s need to play with two central midfielders to give Pogba freedom.